This is why, given a choice, you should either learn to cook or find someone to spend your weekend mornings with who can cook. 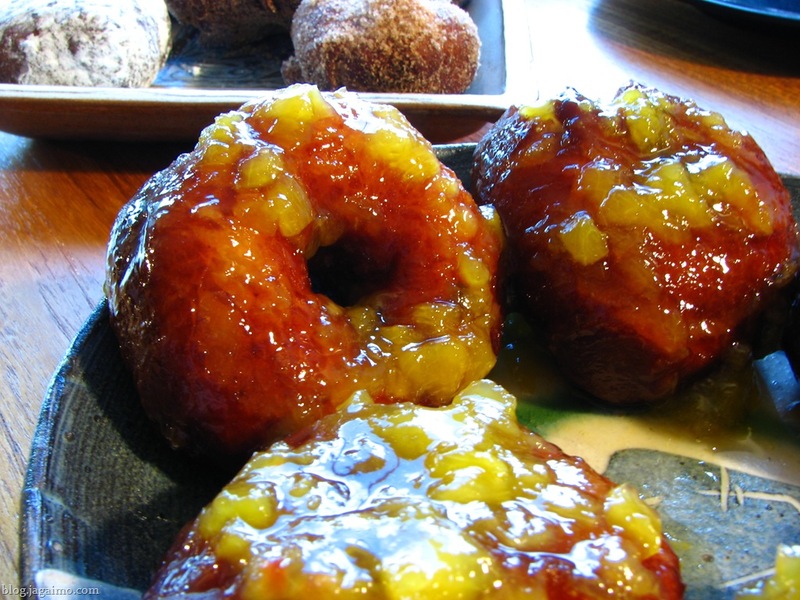 Crullers have nearly disappeared from the shelves of most donut shops, mostly due to the fact that they’re seen as a bit more labor intensive than ordinary donuts. I find it hard to believe that there no machines exist that could reduce the burden, but the fact that they’re now so hard to find presents opportunities for the industrious home cook. And here’s the thing: They’re not really that much work. Perhaps they pennies don’t work out when you’re making them on the scale that a bakery would need to, but I was able to go from nothing to having them on the table in about 35 minutes. I only made six, but I’m sure I could have scaled up the recipe to about 24 pieces without adding more than a few minutes work. This is just a classic pâte à choux with a little added vanilla. I added salt and sugar in roughly the same ratio I would use for cream puffs, with perhaps a bit more salt than usual. I pipe the dough out onto waxed paper. There are a few ways you can pipe them, depending on the visual effect you want; I piped small stars in six segments. An alternative would be to use the star tip, twisting gradually, making one continuous round shape. After piping, I stuck them in the freezer for just about 10 minutes to firm up, which makes them easier to drop into the fryer. They could have easily been kept in the freezer for a week or so. This time, though, I took advantage of the simplicity of the ratio and made just the amount I thought we’d need, which was about 60 ml water, 30 grams. butter, 30 grams flour, and 60 grams eggs (about 2 whole eggs). This makes slightly more than 6 crullers. Last winter, the first time I made these, I underestimated how much they would expand in the fryer. The steam pressure causes them to blow up into about four times their original size, so make sure you keep that in mind when shaping them. Think small. I fried them for about 5 minutes total, flipping them about half way through to let them brown evenly. They continue to darken a bit after they’re pulled from the oil. 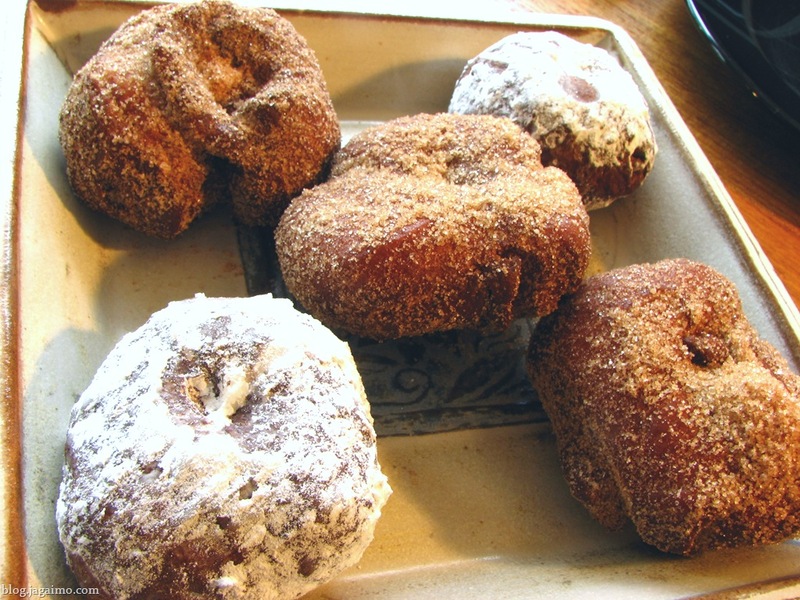 This time, I dusted them with sugar mixed with cinnamon and a pinch of salt. They could have just as easily been glazed, or chocolate dipped. 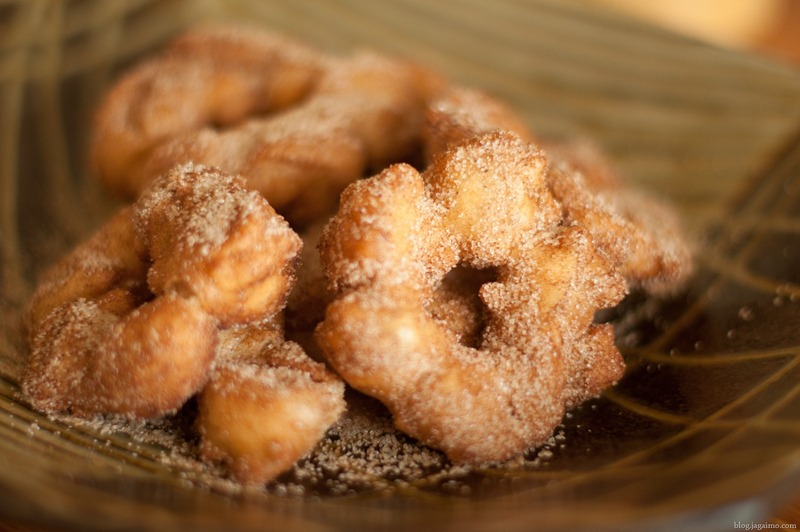 What I really like about crullers is how sweet they aren’t, even after they’re dusted with sugar. 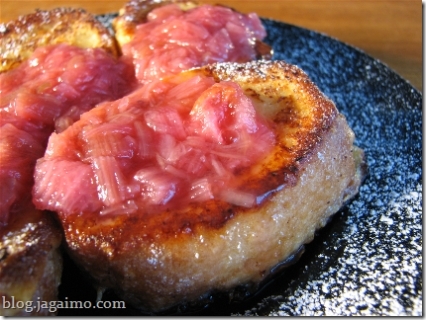 Not that long ago, I posted about some very basic scones served with blood orange jam. Hiromi was craving scones for breakfast yesterday. I remembered that I had recently prepared a pseudo-marmalade of blood oranges meant to serve over waffles not that long ago. The leftovers contained only a little liquid, and a lot of blood orange peel. 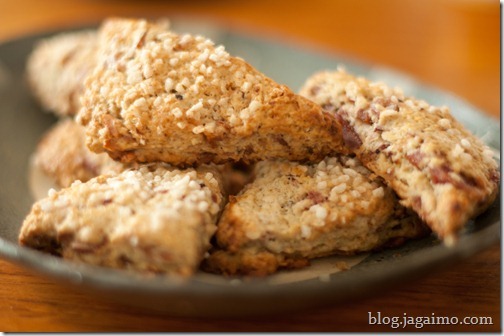 So I thought I might make good use of them by incorporating them into the basic scone pastry. I placed the peels on a cutting board and chopped them a bit more finely than I had them originally, then added them to the dough just before the final splash of milk that holds them together. The result? Success! The scones needed only the slightest splash of milk since they still had a little residual liquid from the blood oranges. The blood orange added a great aroma and a little bitterness. I was worried that they’d get a little tough since I was adding another step to the process, but they turned out tender yet crisp, just as I wanted. A couple of weeks ago Matthew Amster-Burton wrote about some frozen croissant dough which Trader Joe's now carries, and gave the product the thumbs up. I thought it would be nice to do breakfast at home this morning, so I decided to give them a try. All I did was put out a couple on a sandwiched aluminum cookie sheet last night, then I woke up, preheated the oven, and baked them for a little under 20 minutes. They reminded me of the quality of croissants I found at average chain bakeries in Tokyo, which is pretty good. If I walked down the street to one of the coffee shops in my neighborhood, I'd have croissants with no crunch, a victim of transport... they resemble dinner rolls more than croissants, even though they come from a reasonably decent bakery. The Trader Joe's version were also just the right size... I usually want two pastries just for variety's sake, but in the typical portion sizes in the U.S. that's a prescription for a heart attack, or at least some substantial weight gain. These ones work out to be 150 kCal a piece, assuming you don't slather too much in the way of toppings on them. I ate two with some kaya custard, so it wasn't exactly diet food, but I should live to see tomorrow. Cafe Besalu is an occasional (frequent?) weekend indulgence for me, and their laminated pastries are hard to beat, but there's something to be said for being able to eat freshly baked croissants in your bathrobe. Even though I like eating well on my own, I tend to keep breakfast and brunch rather basic, so I thought it would be good to have some more good stuff that required little work. 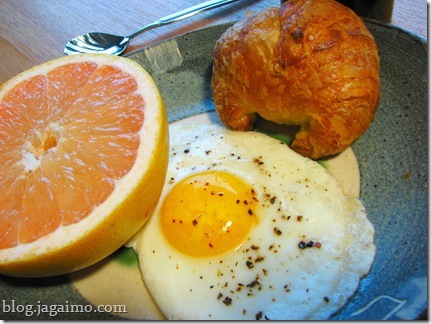 I had half a grapefruit from Harbor Island Citrus in Florida, which I picked up at Sosio's. These grapefruits were labeled in Japanese with the phrase 「糖度センサー使用」, which means that they are sugar-tested with a brix sensor (yours for just $3000, or $9000 if you want the melon-testing model). They're sweet, but also incredibly full-flavored. Thanks to the label, I discovered that this grapefruit is exported to and sold in Japan (at least online), and are actually fairly reasonably priced... not much different than I paid, and slightly cheaper in quantity. The season's pretty short, so I bought a couple more this weekend, just in case it's my last chance. They might have them for another week at Sosio's downtown; I was told that there are only about 40-50 cases left in the country. 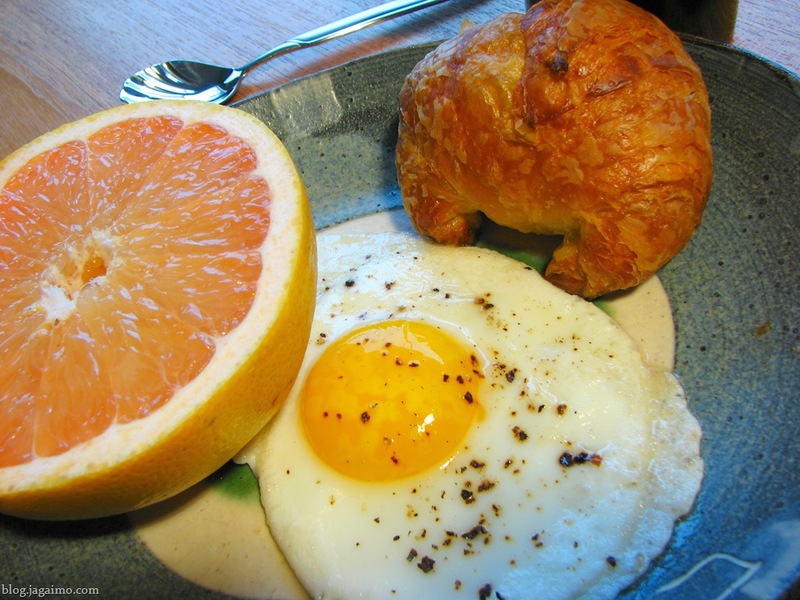 I also had a sunny-side up egg with truffle salt, making a simple but luxurious breakfast. Sometimes it's good to stay home. Last Saturday I came home with a bundle of rhubarb, so I quickly turned it into a compot and kept it handy throughout the week. At breakfast a few times, the simmered rhubarb found itself in a lassi or smoothie-type drink. Made with a little buttermilk, a banana, and some ice cubes, the sweet-tart concoction kickstarted my morning without my usual caffeine hit. This morning, though, I wasn't in the mood for a liquid breakfast. That, and I really wanted coffee. It's hard to convince myself to make coffee when I'm already drinking something else. Observant readers may have noticed a distinct surplus of bread in this week's postings... This is because the obscenely large pseudo-baguette I got from my neighborhood market (from Seattle's A La Francaise) is incredibly difficult for a single person to finish. There are other baguette options in Seattle that are sized more conventionally, but they weren't available on the night I decided I needed some bread. Well, I finally found a way to use that last little bit of bread today. Conventionally, french toast is briefly soaked in milk then dipped in egg. I would like to have done that, but thanks to my lassi adventures earlier in the week the only dairy I had at home was buttermilk, so I used that instead. Buttermilk pancakes aside, the possible outcome of using buttermilk in french toast concerned me slightly. Buttermilk pancakes work in part because they are typically made with baking soda, which requires acid in order to yield a leavening effect, and the reduced acid after the leavening reaction makes the pancakes aromatic but mild in flavor. Surprisingly, the buttermilk worked quite well. I was expecting it to be excessively yogurty, but no such disaster befell me. I don't know if it's because the topping was already sour, or that even with a few minutes of soaking the percentage of buttermilk stays fairly low, or because I love sourdough french toast and some of the same flavor notes were coming out of this. Anyway, I'd definitely make it again when confronted with excessive bread. Two stalks up. This year Easter is solo... and, while I don't practice any particular religion, I'm willing to adopt a pagan custom or two in service of good food. I'm too lazy to dye eggs, and probably will remain so as long as I have no children to entertain, but I'm sure willing to crack a couple of eggs. The other thing about dying eggs is that the presentation contributes nothing to the taste of hard boiled eggs. I'm all for pretty presentations, but I'm much more motivated to create functional presentations. Whatever I decorate with should make the dish taste better. Otherwise, I'm content to just let the plate decorate the food. Sosio's was selling fresh wild ramps yesterday, which are a wild onion family member, sometimes called wild leeks. 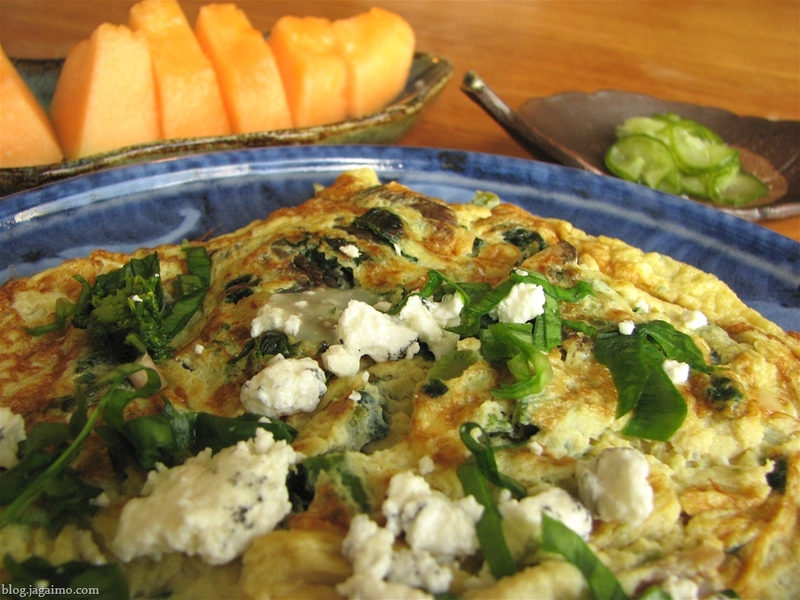 They're generally skinnier than the skinniest scallions, and the greens are almost leaf-like. The flavor is sharp, complex, and slightly earthy; they're more aromatic than scallions, distinct from but reminiscent of shallots, and have a sort of leek-like base notes. They're also very fragile and tend to have an incredibly short shelf-life. They were also offering some "early morels", which are actually members of the verpa family. When sliced lengthwise an inner fleshy stem is revealed, distinguishing them from true morchella, which have a stem that doesn't come apart from the rest of the body. Apparently some people have allergies to the verpa, and there are some varieties, not common in the Pacific Northwest, which are slightly toxic when eaten raw. Cooked, they're quite nice, and they greedily absorb all the aromatics they're cooked with. 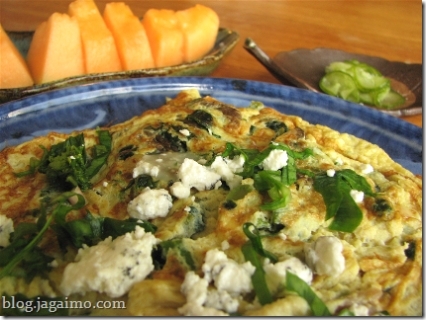 I still had a small bit of blanched rapini left in the freezer, so I had a nice trio of ingredients for a spring frittata. Gently sautéed in some nice olive oil with a pinch or two of salt, the trio of spring treats contribute a lot of flavor to a simple egg dish. For the eggs, I just whisked a couple of room temperature eggs together and added a bit of seasoned soup broth, mixed them together and added them to my nice nonstick pan right over the vegetables. I stir the eggs with saibashi (long chopsticks for cooking) to help create nice curds and to keep the eggs from browning prematurely. Before the eggs are set, I briefly place them under a broiler, and the eggs puff up dramatically. In my experience, when the eggs are browned in the broiler, the eggs become unpleasantly hard—almost tough—so now I just let them puff up a bit and flip them over onto the serving plate, revealing the golden-brown bottom while retaining an almost-fluffy texture. Topped with some citrusy ash-covered Cypress Grove Humboldt Fog cheese and chopped ramp greens, this simple frittata features wild, citrusy, creamy, earthy, bitter, and gently sweet flavors all at once, somehow without any one of those flavors conflicting with the others. It's just the right thing for a lazy Sunday.